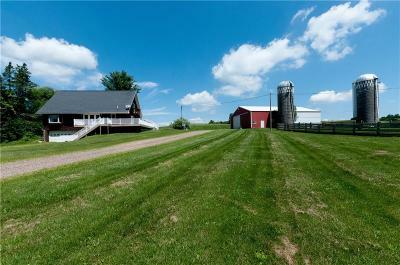 Great country setting on 10 beautiful acres of rolling hills. Property features 3 bedrooms, 2 ½ baths with main floor laundry, open floor plan with some new flooring, updated bath, newer mound system. Main floor bedroom with a large walk in closet, large maintenance free decking and includes a 50x72 pole shed. Perfect set up for a hobby farm.